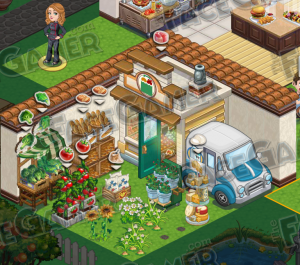 Our favorite struggling villain, Zynga, has released a new Restaurant Management game yesterday. Some have eagerly anticipated it as the game that will save their bacon. But hold the mustard! Has Zynga finally made a unique gaming experience without borrowing from other developers? Sorry to say, but again, not this time. ChefVille has many elements of another game called Gourmet Ranch. Specifically, the core system where you build dishes from ingredients grown around your cafe. So no, The rotten eggs at Zynga have merely found another game to shamelessly steal from. There is a “Game to Table” feature where you are emailed real recipes corresponding to dishes that you mastered. Apparently there’s more than 50 dishes/recipes to earn. While quaint, it’s not the sort of thing that is going to make this game more palatable for me. If I wanted to cook something, I wouldn’t be playing Facebook games. A sample recipe sent to my email... Mmmm. tomatoes and cheese on toast. Incidently, I found Zynga Executive Chef Matthew DuTrumble’s profile on LinkedIn and he seems like a good sort of fellow. Very experienced. If my considerable experience with corporate layoffs has to say anything, it’s that he’s probably going to be one of the first gone when the Zynga layoffs begin. Only because the first out the door is usually the kitchen help, and what sort of video game company needs a recipe writer when there’s a considerable amount of recipes on the internet for them to steal? Sorry Matt! We wish you well in your future endeavors! I guess that was sort of mean. Well, I don’t want to end this on a sour note, so I have something for you. Every time you level, check the marketplace for things you can now place. You may be able to add more tables, counters, or a second grill, for example. When you are able to place the second grill, do it. Leave one grill for dishes with long cook times, and save the other for fast dishes to help you keep your counters filled. While technically you CAN give VIP service to customers, I find that the energy is much better spent gathering ingredients. To “Close” your cafe, simply remove all the tables from your area. This will allow you build up a stock of different dishes. The most important (and most difficult) ingredient to get is roses. You get them from the Rose Stand (Supplies >> Services) But you only get 3 every 8 hours. Every rose is traded to a Customer for 1 recommendation, which you need for expanding your cafe, and unlocking new dishes and ingredients. There’s a quest not far into the game that requires 20 recommendations (already!) and to get there, one has to have spent a few already. It’ll take more than a day of collecting roses to get there, and that’s only if you collect the roses RIGHT ON TIME. Alternately you can ask your friends for roses, which I strongly recommend. Since you can only send your friends so many gift requests a day, I’d make rose collecting a priority, at least at the beginning. Keep a close eye on your ingredients. Make sure to stock pile so you run out, but also don’t gather too many because the maximum amount of each ingredient you can hold is very low. For example, you can only hold 15 tomatoes, but they go quickly. If you bunch all your ingredient stations into one area (like a garden) it’ll be much easier for you to glance at what you need to harvest. I have found that I run out of the “Wild” ingredients much faster than any other ingredient. Wild Onions and Wild Button Mushrooms are the only ingredients that have a finite amount of collects. It’s wiser to collect them from your friends and leave the ones on your own home alone. This way, you AND your friends get onions when you collect them, but if you collect the ones on your home land, only you get them. I have seen Wild Onions regrow over time, but so far, I haven’t seen the mushrooms regrow. Leave some grassy areas free of flooring so they can grow back in. If you are doing well on ingredients, invest some into making some sauces and other things using the mixer. Dough and tomato sauce are some good ones. Dough is an especially easy one to help you “make some dough” later on. Check the comments for more tips left by other readers. If you have a tip, let us all know! What do you think? Is this game going to be the sweet smell of success for Zynga? Or are their gooses still cooked? you can be my neihgbor. You can add me, I need neighbors as well. Dave Carroll,becky hupp cuellar , Jane Koller Lawlor,Raven Ti Wie Wass , I’m sending you neighbor request. Fran I do not know your last name so I cannot request you as a neighbor. i love chefville way more than cafeworld. with cafeworld i only play to get the stoves. but i am not interested in those goals unless i am absolutely bored. but the only thing i don’t like about chefville is when you have to get so many stars. i have to get 119 stars and i made it to 93 but there are not a lot of ingredients available to keep advancing. oh well. i like it none-the-less. it is better if you “collect” at the facilities rather than “eat” the food, your neighbor gets experience points that way, which they do not get if you eat the stuff. And the odds of you getting an ingredient grows if you collect it rather than eat it, this is what I found out myself though. I like it so far as stated above if the Goals come back to back like CW I will quit this game too..Yes the mushrooms grow like crazy but i put up fence and they stopped but I would love more onions they grow but very rarely. All in all not bad game..
WOW you got the mushrooms to stop? I sure can’t get them to stop and I have them all over the place. do not have that many green areas. 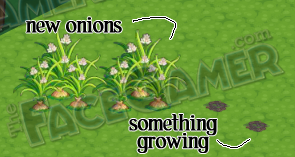 I covered my place with the grass tile and now I have soo many neighbors that I get to the 100 hearts very easy so I just buy the onions, I still have not run out of mushrooms since they grew so wild until I realized the tile covered trick. I could use some more neighbors! Does anyone have advice about salt I keep ruuning out. I need neighbors too. How do I add you guys? Sorry I can’t find anyway to message you on facegamer, so I will do it here. I can’t find a link to get ingredients for ChefVille on here, is there a link to go shopping like FG mart has? or the cafe world? If so can you send it to me or tell where to find it on you page.